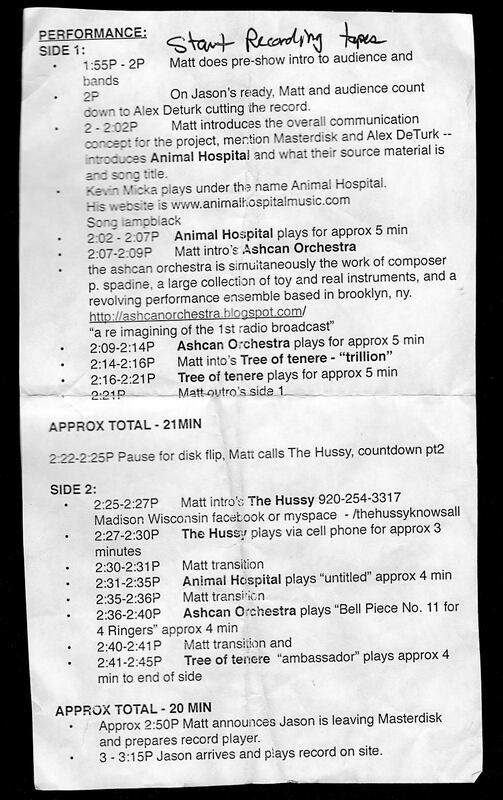 Today I stuck my hand in a jacket pocket and pulled out this crumpled piece of paper – my notes from the “Live From 14th Street” intervention last fall. 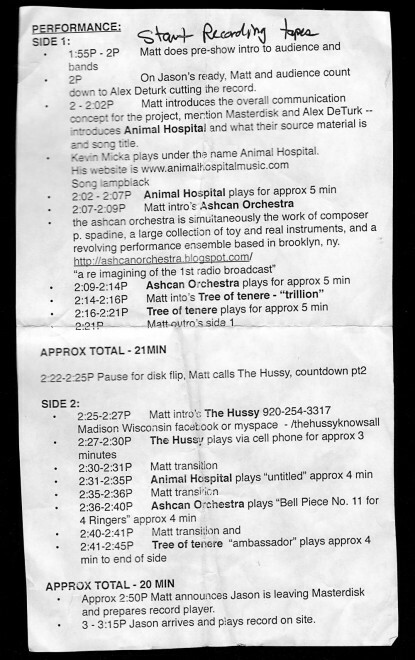 This was the schedule that Jason and I worked out for the performances. Of course, we didn’t come close to sticking to it, but at least we did a little planning for once. “Live From 14th Street” was staged on 14th Street and 10th Avenue, under the High Line, with three live bands playing in a park. The performances were sent via wifi technology uptown to a studio where they were cut live to vinyl. As far as we know, this is the first time this has ever been done. You can read more about the project and see video of all the performances here. For today, it was cool to find this lost remnant of that afternoon. While the videos (and of course the final record!) are the most important part of the project, I do enjoy the process that leads up to these moments.